Welcome to Captain Will Geraghty’s Grand Slam Light Tackle Sportfishing, a complete fishing guide service docked at Port O Call Marina in beautiful downtown Naples, Florida. We are just minutes from historic Old Naples and directly across the water from Tin City shopping district. 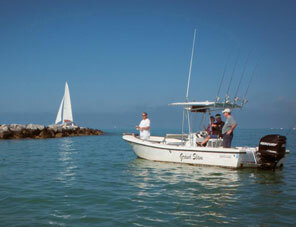 We run fishing charters out of Naples and Marco Island and offer half day, 6 hour or full day trips. Learn more about our charter trips and rates. Whether you are a novice or accomplished angler, fishing family or wishing to arrange a perfect corporate outing, you have arrived at the right venue for your entire light tackle sportfishing needs! Easy to navigate and routinely updated, be sure to check out Captain Will’s What’s Chewing? Blog complete with detailed Weekly Naples/Marco Island fishing reports and recent “Big Catch” photos. Exciting angling opportunities, both inshore and offshore, abound along the Naples and Marco Island coastline located just north of the famed Everglades National Park and Ten Thousand Islands region. Possessing a magical allure of adventure, rich natural history, culture and resource, the waters surrounding Naples and Marco Island teem year round with exciting hard charging gamefish. Accompanied by an eclectic diversity of coastal wildlife, birdlife and fauna found nowhere else on earth, this special area of Florida makes your light tackle sport fishing adventure complete. A full-time fishing guide, professional tournament angler, freelance writer and resident of Naples. Hooked on fishing from an early age, for almost 20 years Captain Will has been guiding clients from around the world on memorable fishing excursions inshore along the white Sandy beaches of Naples and Marco Island, and offshore in the Gulf of Mexico. Learn more about Captain Will, including his impressive tournament showings and activities in southwest Florida�s fishing community. Book Your Fishing Charter Trip Today! 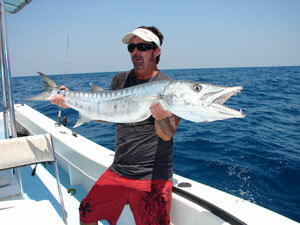 Call 239-571-2878, email Captain Will or use the contact form to book or ask any questions about our fishing trips.